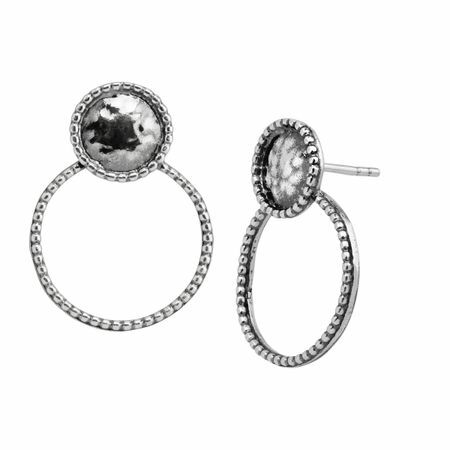 These bubbly earrings are sure to put a smile on your face. A beaded sterling silver circle is capped with a solid hammered plate, lined with petite pebbles for extra flair. Earrings measure 7/8 by 5/8 inches and feature posts with friction-backs. Pieces come with “.925” sterling silver quality stamps as symbols of guaranteed product quality.